The Clinical Skills Lab provides first and second-year students an opportunity to gain valuable experience in communicating with veterinary professionals, conducting mock cases and team collaboration. 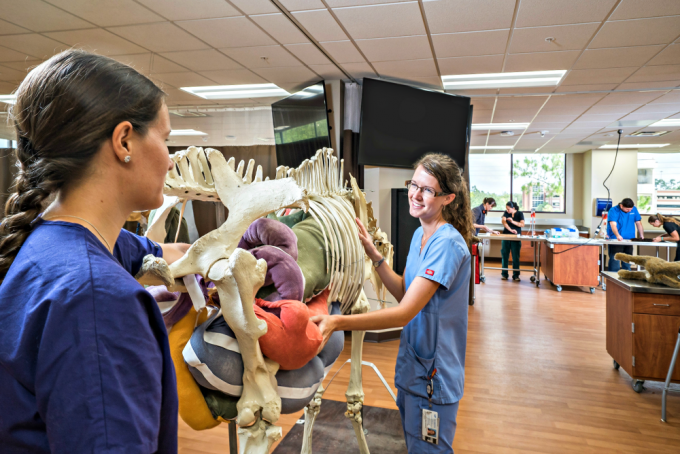 Under the supervision of clinical instructors and a certified veterinary technician, students gain hands-on experience by performing animal care, treatment, and procedures such as life support, medical interviewing, diagnosing, and more! 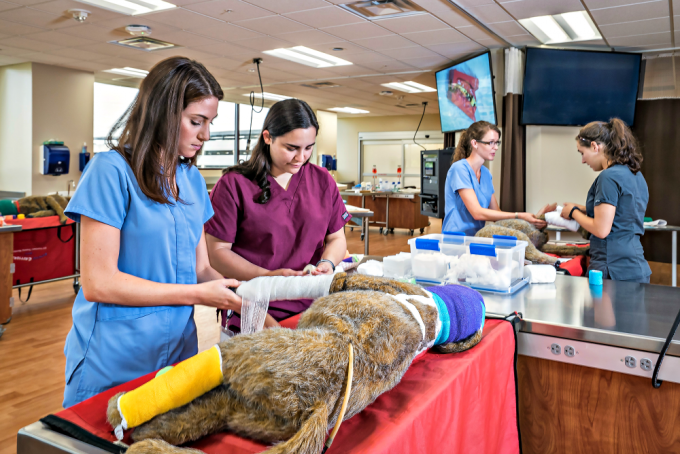 After completing this course, students will be fully prepared to take on challenges in animal hospitals and clinics. 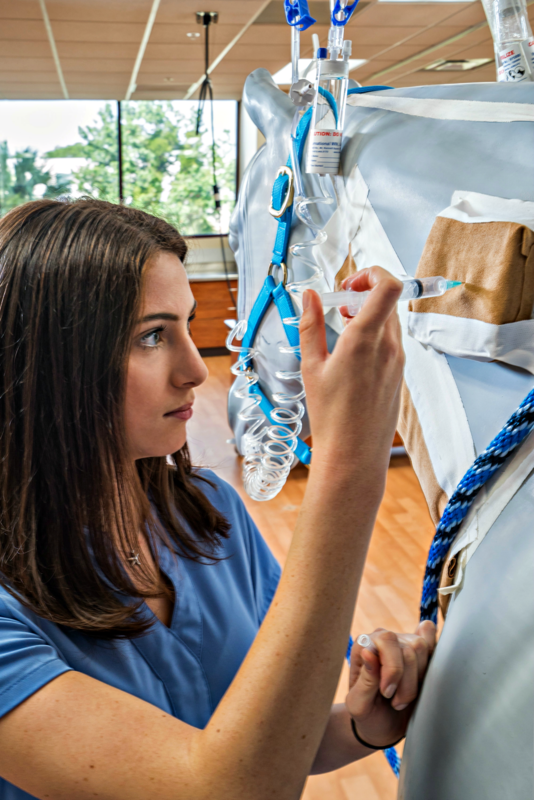 For additional information, contact Joice Gardner, Clinical Skills Lab Director.